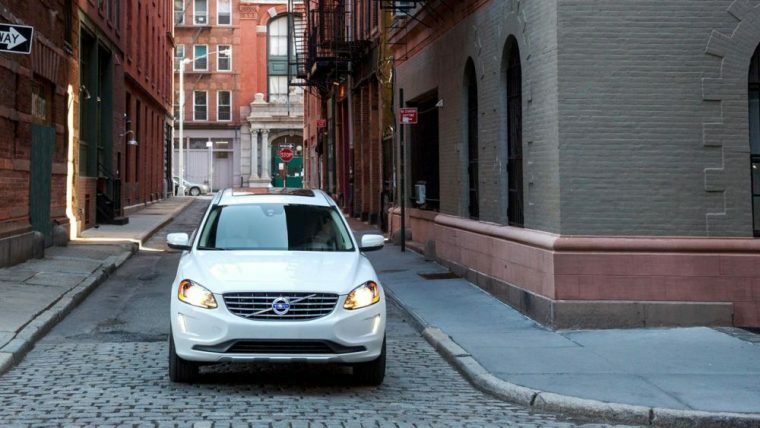 The 2016 Volvo XC60 is a five-passenger luxury crossover SUV that has something to offer every member of the family. Featuring the choice of four powerful engines and five unique powertrains, the 2016 Volvo XC60 is one of the most versatile vehicles on the market. Additionally, the 2016 XC60 comes with Volvo’s advanced technologies such as Volvo On Call, Sensus Navigation, and Corner Traction Control (CTC) by torque vectoring. The 2016 Volvo XC60 is offered with five different powertrains: T5 Drive-E FWD, T5 AWD, T6 Drive-E FWD, T6 AWD, and T6 R-Design AWD. The 2016 Volvo XC60 T5 Drive-E FWD and T5 AWD are available in three trims: base, Premier, and Platinum. The T6 Drive-E FWD, T6 AWD, and T6 R-Design AWD are available in two trims: base and Platinum. 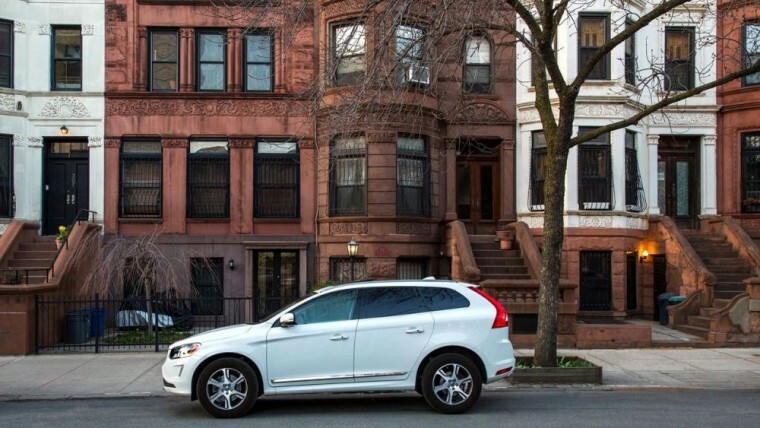 What’s New for the 2016 Volvo XC60? The 2016 Volvo XC60 luxury crossover SUV does not feature many changes from previous model years, but the fold-down front passenger seat is no longer available. The 2016 Volvo XC60 received Top Safety Pick Plus recognition from the Insurance Institute for Highway Safety because of its strong performance in the new small overlap frontal crash test. 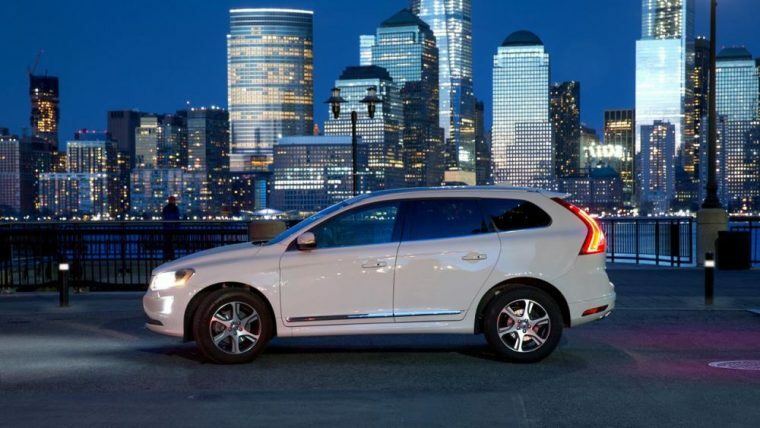 Volvo vehicles are known for their sleek and sophisticated designs; the XC60 is no exception. Rear privacy glass and a panoramic sunroof are available for the XC60 T5 Drive-E FWD and T5 AWD, if you opt for the Premier package. 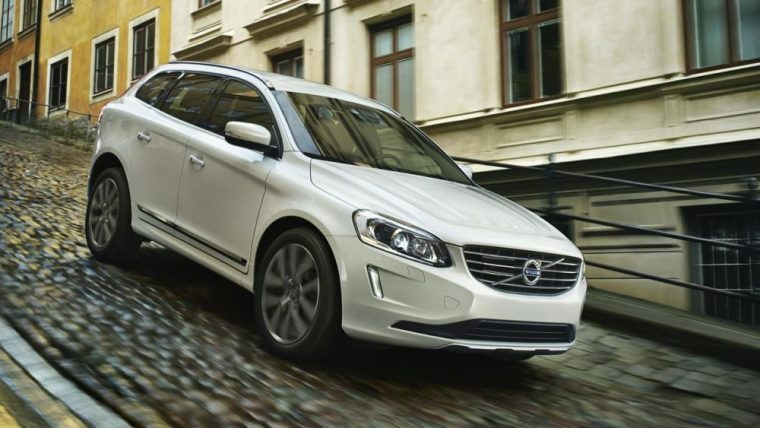 The exterior features available on the 2016 Volvo XC60 differ depending on the powertrain and trim level you choose. These exceptional features are listed below. Sporting the 2.4-liter turbocharged four-cylinder engine, the XC60 T5 Drive-E FWD, XC60 T5 Drive-E FWD Premier, and XC60 T5 Drive-E FWD Platinum are all capable of producing 240 horsepower and 258 lb-ft of torque. Equipped with a 2.5-liter turbocharged five-cylinder engine, the XC60 T5 AWD, XC60 T5 AWD Premier, and the XC60 T5 AWD Platinum are all good for 250 horsepower and 266 lb-ft of torque. Outfitted with the 2.0-liter supercharged and turbocharged four-cylinder engine, both the XC60 T6 Drive-E FWD and XC60 T6 Drive-E FWD Platinum generate 302 horsepower and 295 lb-ft or torque. Matched with the 3.0-liter turbocharged six-cylinder engine, the XC60 T6 AWD and XC60 T6 AWD Platinum each pump out 300 horsepower and 325 lb-ft of torque, while the XC60 T6 R-Design AWD and XC60 T6 R-Design AWD Platinum up those numbers to 325 horsepower and 354 lb-ft or torque. Coming equipped with a 2.0-liter supercharged and turbocharged four-cylinder engine, both the XC60 T6 Drive-E FWD and XC60 T6 Drive-E FWD Platinum get an EPA-estimated fuel mileage of 22 mpg in the city and 29 mpg on the highway. Outfitted with a 3.0-liter turbocharged six-cylinder engine, the XC60 T6 AWD, XC60 T6 AWD Platinum, XC60 T6 R-Design AWD, and the XC60 T6 R-Design AWD Platinum all are good for an EPA-estimated 17 mpg in the city and 23 mpg on the highway. Packing a 2.5-liter turbocharged five-cylinder engine, the XC60 T5 AWD, XC60 T5 AWD Premier, and XC60 T5 AWD Platinum produce an EPA-estimated fuel economy of 19 mpg in the city and 26 mpg on the highway. 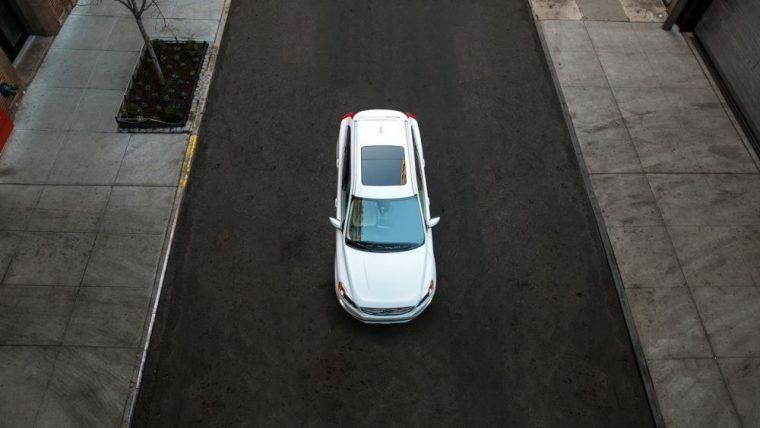 Featuring the 2.4-liter turbocharged four-cylinder, the XC60 T5 Drive-E FWD, XC60 T5 Drive-E FWD Premier, and the XC60 T5 Drive-E FWD Platinum all receive an EPA-estimated fuel economy of 23 mpg in the city and 31 mpg on the highway. The interior of the 2016 Volvo XC60 features 67 cubic feet of available cargo room. 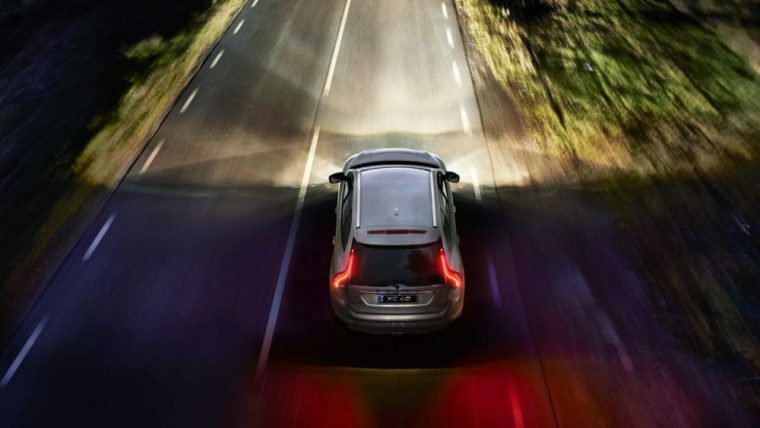 Additionally, Volvo’s optional Technology package features a lane departure warning system, adaptive cruise control, and an advanced forward collision mitigation system. 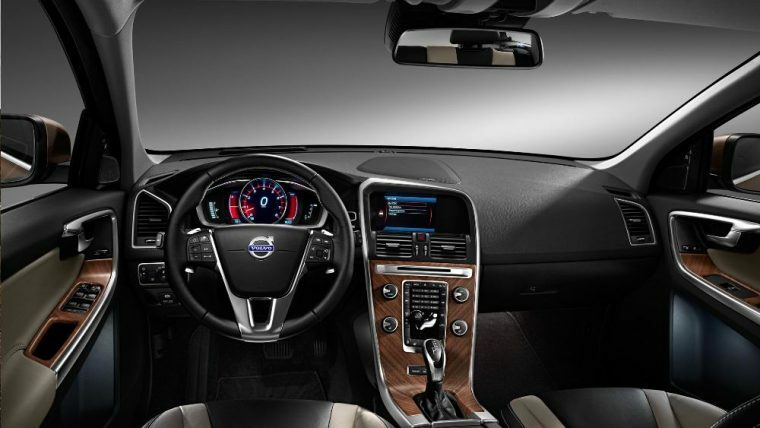 Overall, the interior of the 2016 Volvo XC60 was designed for comfort and ease of use. Each powertrain and trim option offers a distinct combination of interior features, which are listed below. The 2016 Volvo XC60 luxury crossover SUV earned an overall crash test safety rating of five-stars from the National Highway Traffic Safety Administration. The 2016 Volvo XC60 comes standard with full-length side curtain airbags, anti-lock brakes, and whiplash protection front seats. The Swedish automobile manufacturer’s goal is for there to be zero fatalities involving their vehicles as of 2020.